With the release of iOS 12.1, Apple has enabled the eSIM functionality on the iPhone XS, the iPhone XS Max and the iPhone XR which finally allows you to use two simultaneous mobile connections on your iPhone. 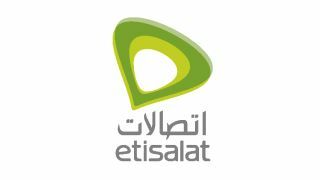 Etisalat has already announced support for eSIM on these new phones and here is how you can enable it on your iPhone. At the moment, you can't activate eSIM over your phone and have to physically visit an Etisalat office to get a QR code. You can then scan this code on your iPhone through "Settings -> Cellular -> Add Cellular Plan" to activate the eSIM. Charges for activating an eSIM are identical to that of a regular SIM which means you'll need to pay AED 26.50 if you already have a postpaid plan. If you are on a prepaid line, charges for that are AED 57.75. If you are getting a new account/phone number with eSIM, charges for that are AED 131.25. Update: If you have a multi-SIM setup, you will have to cancel that before you can activate eSIM on your iPhone. At the moment, you can't have eSIM as well as MultiSIM on the same number through either Etisalat or du. The only exception is the eSIM on your Apple Watch which could be active at the same time as the eSIM on your iPhone. That being said, like the iPhone, the eSIM on Apple Watch can't be active at the same time as multi-SIM. Switching back to a regular SIM is basically the same process as switching to an eSIM. You'll need to go to an Etisalat office and get a new SIM card for which you'll pay AED 26.50 and your eSIM will get deactivated. You can then use the physical SIM card on your phone. Let us know if you have any questions about eSIM in the UAE through twitter on @techradarme and we will try and get answers from Etisalat or du. The iPhone now supports dual SIM but what about dual apps?